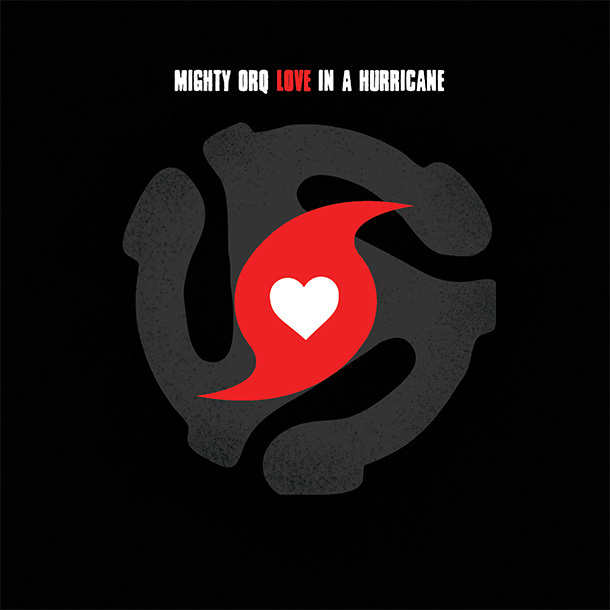 Love In A Hurricane has twists and turns as much as the whirling wind does, with Mighty Orq right in the eye of it, a chameleon instrumentalist, singer and songwriter releasing his seventh album. This is a multifaceted collection of songs. You’ve got roots, the Texan feel that characterizes the Houston-based musician, a featured band (his usual touring band), Barry Seelen, Jimmy Rose and Terry Dry, who play their instruments as intimate companions to Orq’s lyrics. “Falling Down” has the potential to be part of an ’80s movie soundtrack. It’s catchy and has darker lyrics than it appears. “The Possum Song” and “You’re In love (That’s Alright)” have a similar up beat mood and catchy phrases. “Love in a Hurricane” is the leading track, and most likely the most memorable. It feels as though each instrument had it’s own time to shine, and came together when needed. “Cannon Ball” is the closer, just the guitar and the stories the hands playing it share. Orq’s redemption of Son House’s “Death Letter Blues” is what roots and delta blues fans are here for, the drum thumping syncs with any heart beat after the first two lines. Just a year prior this album release, Orq was named the Best Blues Act of 2015 in the Houston Press Music Awards; by giving a listen to Love In A Hurricane there isn’t any space left for doubt, there’s heart in this Texan’s music, soul in his lyrics. The hurricane keeps swirling without even noticing one might find himself completely immerse in it.